Punarjit Roychowdhury is currently an assistant professor in the economics area at the Indian Institute of Management (IIM) Indore. He obtained a Ph.D. in Economics from the Southern Methodist University, US in 2017. Primarily an applied microeconomist, Punarjit’s research interests lie in the fields of microeconometrics, labour economics, development economics, and behavioural economics. His current research focusses on economic inequality and mobility, social effects in consumption, economics of marriage, and dynamics of children’s academic achievement. Prior to joining IIM Indore, Punarjit was an assistant professor at Shiv Nadar University, Uttar Pradesh. 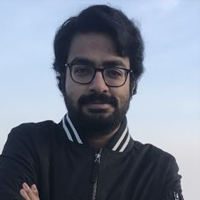 Punarjit holds a first class Bachelor’s degree in economics from the University of Calcutta, and a first class Master’s degree in applied economics from Presidency College, Calcutta.